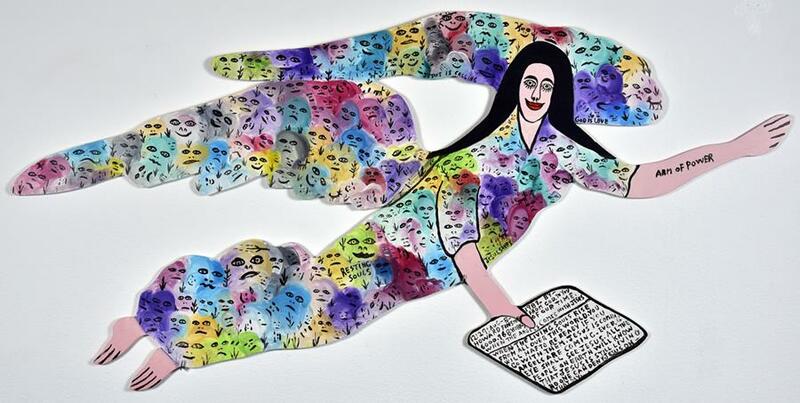 Reverend Howard Finster became one of the most widely known and prolific self-taught artists, producing over 46,000 pieces of art by his death in 2001. Albany Museum of Art's current exhibition, Man of Visions: the Inspired Works of the Reverend Howard Finster, is on display in the Haley Gallery through February 24, 2017. Considered the “Andy Warhol of the South” and the godfather of contemporary American folk and visionary art, Howard Finster did not devote himself to making art until later in life, following a vision calling him to paint 5,000 sacred art pieces in order to spread the Gospel. He completed the 5,000th piece a few days before Christmas of 1985 and it serves as one of the centerpieces in the AMA exhibition. The museum will also be presenting a number of events centered around the works in this show, which also marks the centennial year of Finster's birth. The Good Luck Gallery presents the works of Jacob Lehman (1887–1972), a Los Angeles-based artist who produced an impressive body of work late in life. His drawings are informed by his struggles as a Polish immigrant throughout the most turbulent years of the 20th century. His portraits of friends and neighbours possess a simple and direct beauty. Set against backdrops of irregular bright stripes, his subjects stare straight at the viewer with elongated eyes and melencholic expressions, while his writhing floral drawings exude a fragile innocence and are redolent with nostalgia for a youth spent in rural Polish villages. 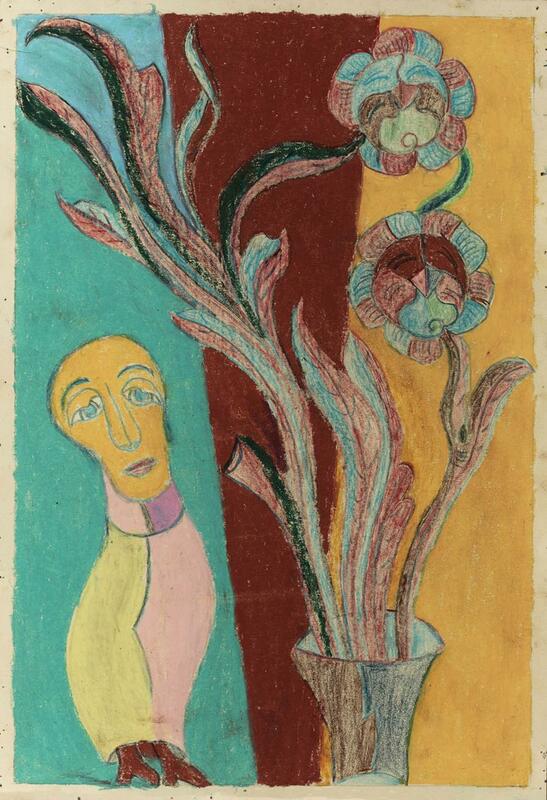 Marking its 40th anniversary, the Collection de l’Art Brut is showing the little known oeuvre of Russian scientific researcher turned artist Eugen Gabritschevsky (1893–1979), first introduced to the public by Jean Dubuffet from 1950. The exhibition has been set up jointly with the La Maison Rouge (Paris, July 8 – Sept. 18, 2016) and the American Folk Art Museum (New York, March 13 – Aug. 13, 2017). 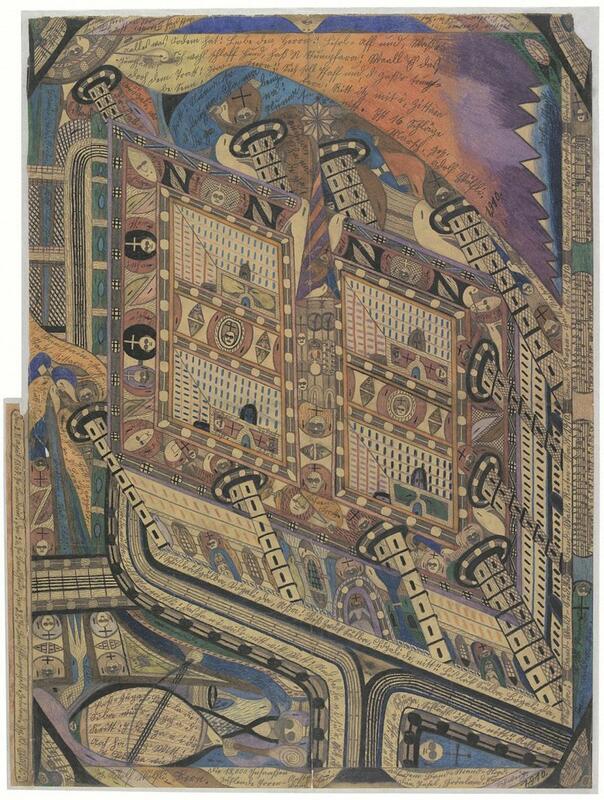 It comprises 75 works from the Collection de l'Art Brut holdings, together with a good number of works on loan from the creator's family and the Galerie Chave in Vence (France). Featuring 145 of Gabritschevsky's pieces, the show also includes photographs, texts and archival documents, treating viewers to the multiple facets of the artist's major and complex production. Through the lens of the Bethlem Royal Hospital, London, Bedlam: the asylum and beyond explores how mental illness and notions of madness have been shaped over centuries, and imagines what the future might hold. The exhibition traces the rise and fall of the asylum and how it has reflected the changing attitudes of the society around it, from the early days of the Bethlem Hospital to the modern, post-asylum world. Emphasising the lived experiences of individuals, the show features over 150 objects and archival materials, including patient art from Adolf Wölfli (above), Vaslav Nijinsky and Richard Dadd, alongside works by contemporary artists, including Eva Kot’átková, Shana Moulton and Javier Tellez. 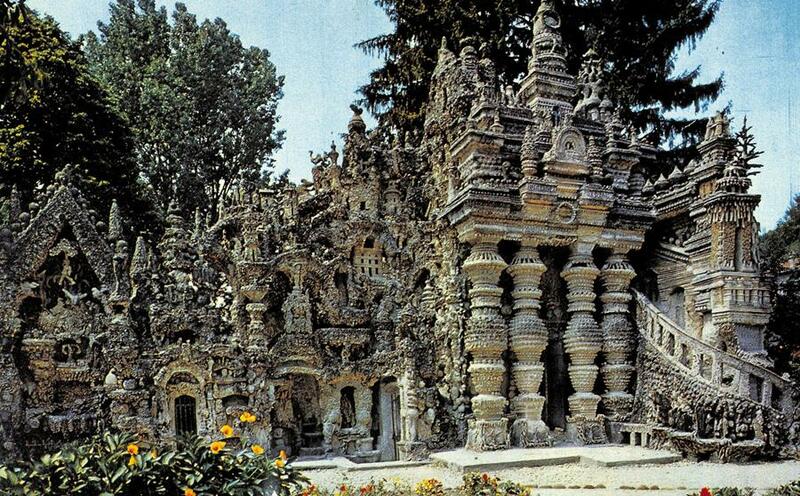 The Palais Idéal in Hauterives, France, is one of the most celebrated Outsider Art environments. 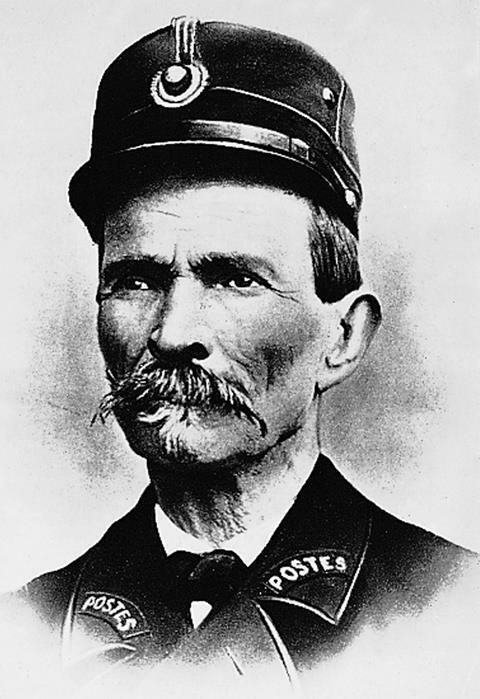 Ferdinand Cheval (1836–1924), a postman (facteur) in his local town, started to collect unusual and interesting stones during his rounds. 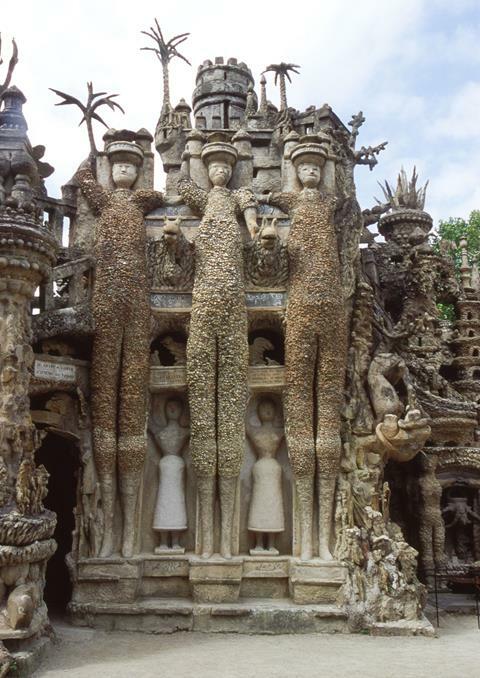 Cheval taught himself masonry skills and began to shape concrete forms, ornamented with the objects he found during his daily collections. He spent 33 years on the monumental structure, creating winding stairs, turrets and ornamental columns. The grotto-like crypt has a shrine to the postman’s trusty wheelbarrow, taken on his many trips for materials. The Facteur Cheval’s poems appear on concrete slabs placed on the exterior walls, encrusted with stones and abstract rock shapes. Three enormous statues of historical figures dominate: Caesar, Vercingétorix and Archimedes, their scale contrasting with the intricate architectural details. Cheval also built a tomb in similar style for himself in the local cemetery. 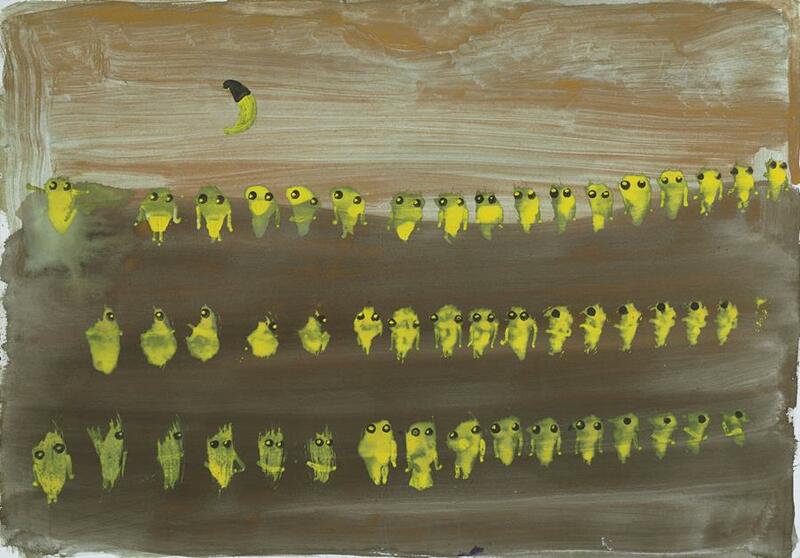 Read more in our Outsider Art Sourcebook and in Raw Vision 38.